The hottest freight technology event in the industry, Transparency19 is designed to keep you on the cusp of the latest innovations that are transforming freight today. Meet the decision-makers behind the biggest brands and startups who are trailblazing through high-impact technology and solution development across all industry segments, including shippers, carriers, 3PLs, supply chain management, manufacturing and investors. Transparency19 will cover innovation and digitization trends across trucking, logistics, supply chain, blockchain, IoT, telematics and data. You’ll hear from expert speakers, watch live product demos from emerging and leading freight technology companies, and network with hundreds of your industry peers in a revolutionary format. Join us in Atlanta for this highly immersive and power-packed event to learn how your business can evolve to stay on the leading edge of innovation. Encounter fast-paced demos of cutting-edge freight-tech startups. Network with some of the top minds and thinkers in freight. Gain key market insights from industry leaders to help you position for the future. 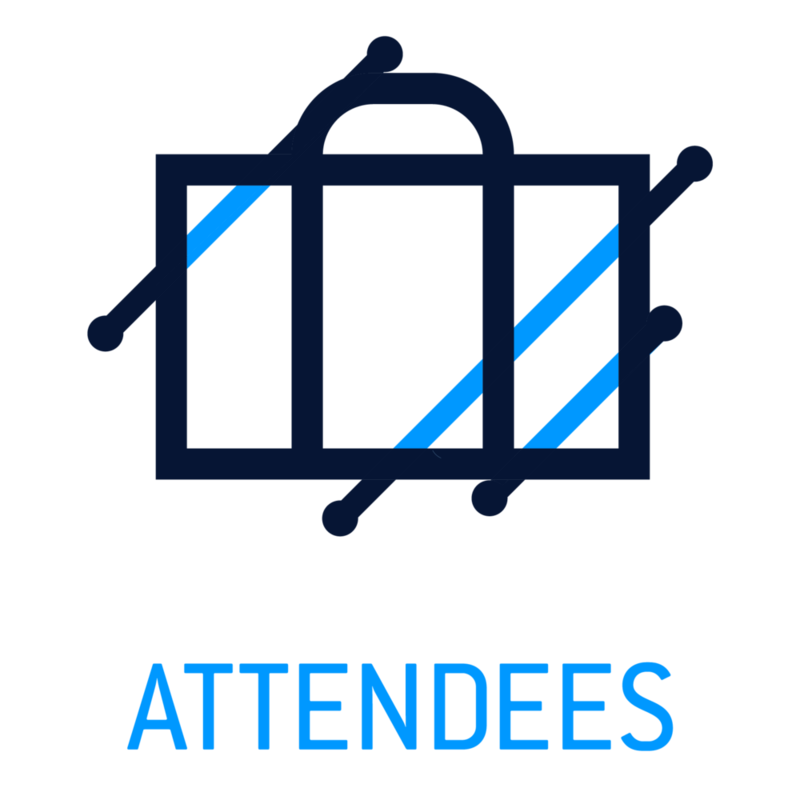 Connect with senior-level transportation industry executives, venture capitalists, industry analysts, developers, media, bloggers and entrepreneurs from across the industry spectrum. Meet the decision-makers behind the biggest brands and startups who create buzz around high-impact technology across all industry segments: shippers, carriers, 3PLs, supply chain management, manufacturing and media. Transparency was the first event in the freight industry to successfully launch a high energy, live product demo format, with no vaporware or PowerPoint presentations allowed. Over the course of our 3 day event, we will be featuring over 60 live, 7-minute product demos from the industry’s leading technology and solution providers. Small groups of demo presentations will be interspersed across all 3 days along with high profile keynote speakers, fireside chats and industry expert panels. This format allows the audience to see exactly how these technologies work while hearing how they can be used to transform the industry. It is a perfect format for both startups and leading freight technology companies to get their products in front of potential customers, media, prospective partners, and VCs. We are pleased to offer group rates at three different hotels, all of which are connected to the GICC. To make your reservations, select the property of your choice below. You may also book your room by calling the hotel properties directly. Please reference the "Transparency19" room block when calling to receive the discounted rate. Rooms at the SpringHill Suites and Marriott are $169 per night, and Rooms at the Renaissance are $194 per night. Our room block rate for all three hotels will expire on April 15, 2019.